Turns out all I needed to get my sewjo back was to get together with a few people... 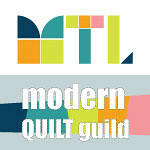 The Montreal Modern Quilt Guild held its May sew-in on Saturday and I had a ball! This month, we decided to focus on charity quilt tops. I brought my blue scraps and started cutting strips. Before long, I had a nice pile of blue scraps ready to sew into modern log cabin blocks. 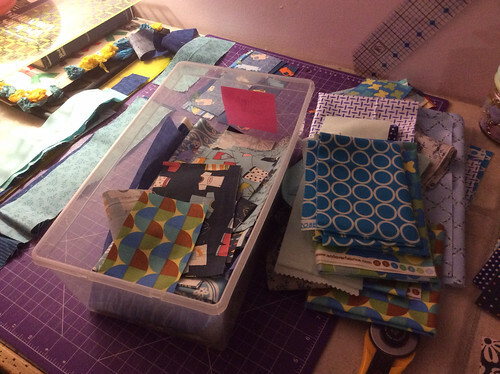 The best part of all this is that I'm finally making a dent in my blue scrap bins! Will be linking up at Lee's for WIP Wednesday! Maybe a couple of QALs is what I need! I'm not going to lie... I have lost all desire to sew and quilt. Well... That's not exactly true. I still have the desire to, but I've lost my motivation. Every time I've gone downstairs to my sewing room in the past month or so, I can't decide what to work on and end up just going back upstairs to watch television or read or... Go outside! I did do a tiny bit of quilting this past weekend, but that's pretty much it since I finished the Wonky Stars baby quilt. And then these 2 fun QALs appeared in my Bloglovin feed! The first is the Supernova Friendship Block Swap over at Late Night Quilter. I will be partnering with Julie who blogs at That's Sew Julie. These are the fabric groupings I pulled and will be using Kona Snow as the background. Our first block will be swapped on June 15. I'm really excited about this one and cannot wait to get started. 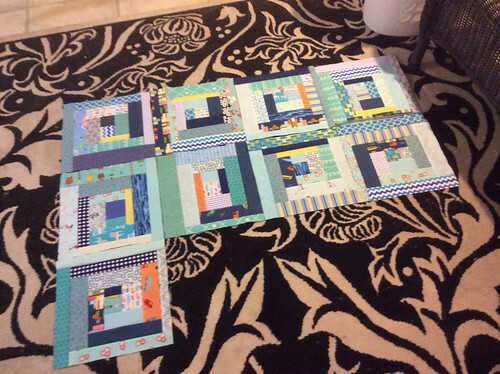 The second QAL is The Nested Churn Dash QAL hosted by Quilt Jane. You have to purchase the block pattern to participate, but it's only $2! Great deal for a really cool looking 24" block. 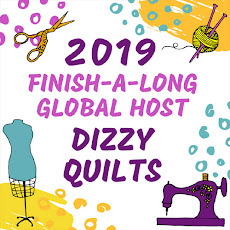 The QAL starts on June 1 so if you're interested, go ahead and get that pattern. So there you have it! 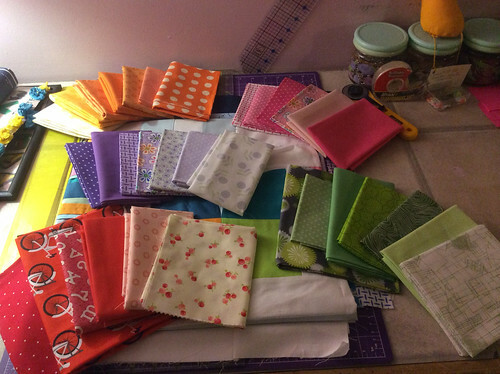 I'm really hoping these QALs will get me back in the sewing room actually sewing stuff.